WHAT'S REALLY GOOD PEOPLE? THIS PAGE IS UNDER CONSTRUCTION, SO BEAR WIT ME. THIS PAGE IS DEDICATED TO ROC-A-FELLA RECORDS AND ALL MY R.O.C SUPPORTERS...SHOUT OUT ALL MY ROC-A-FELLA ONLINE STREET TEAM MEMBERS WHO MAKE IT HAPPEN: NEK-NEK (ME), DYNASTY_GURL03 (LEITA), MAC, HUSSEIN, MONTANA, KRAZE11, DIPSET MAMI, TRICE... IF YOU NOT APART OF ROC-A-FELLA AND WANT TO BE, HIT UP THE R.O.C LINKS. LET`S VOTE FOR JAY-Z'S "ENCORE" VIDEO ON 106 and Park!!! LET`S VOTE FOR TWISTA FEAT. KANYE WEST`S "SLOW JAMZ" VIDEO ON 106 and Park!!! LET`S VOTE FOR MEMPHIS BLEEK`S "ROUND HERE"FEAT- TRICK DADDY & T.I. VIDEO ON 106 and Park!!! JAY-Z | THE BLACK ALBUM| IN STORES NOW!!! MEMPHIS BLEEK | M.A.D.E | DECEMBER 16TH!!! YOUNG GUNZ | TOUGH LUV | FEBRUARY 24, 2004!!! 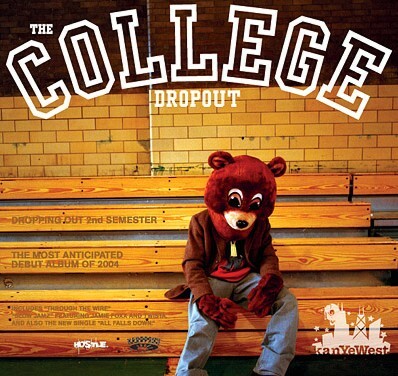 KANYE WEST | COLLEGE DROPOUT | FEBRUARY 10, 2004!!! CAM`RON | PURPLE HAZE | FEBRUARY 2004!!! M.O.P. | GHETTO WARFARE | COMING SOON!!! JUELZ SANTANA | FROM ME TO U | IN STORES NOW!!! STATE PROPERTY | STATE PROPERTY PRESENTS THE CHAIN GANG VOL. II | IN STORES NOW!!! PAID IN FULL | MOVIE ON DVD | IN STORES NOW!!! DIPLOMATS |DIPLOMATIC IMMUNITY | IN STORES NOW!!! FREEWAY | PHILADELPHIA FREEWAY | IN STORES NOW!!! JAY-Z | THE BLUEPRINT 2: THE GIFT AND THECURSE | ALBUM IN STORES NOW!!! DAME DASH PRESENTS... DREAM TEAM/PAID IN FULL | ALBUM IN STORES NOW!!! ROCAWEAR - WHAT YOU WEARING?